VLC is a well-known and popular media player that is free and open source software. VLC plays all the popular video formats as well as audio such as MP4, MKV, WMV, MPEG, MOV, AVI, DIVX, XVID, FLV, FLAC, WAV, REAL, VOB, and Theora. It can also play DVD’s, Blu-Ray, Video CD’s, Audio CD’s, and video streams. 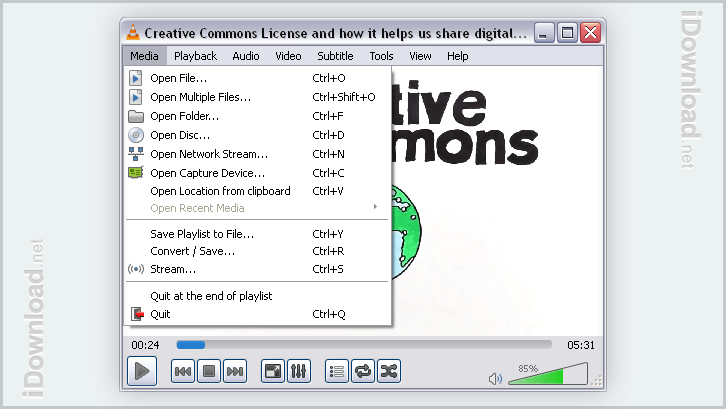 In addition to playing video, VLC also supports playing various audio formats such as MP3, WMA, and AAC. 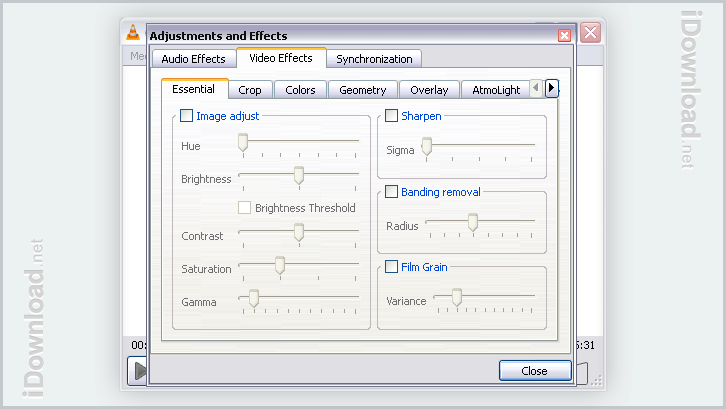 VLC media player includes many useful features that I find myself in need of often. You can adjust the brightness for videos that are too dark. You can change the video aspect ratio to 16:9 or 4:3 if needed. You can easily adjust the audio bass or treble easily with the built-in equalizer. 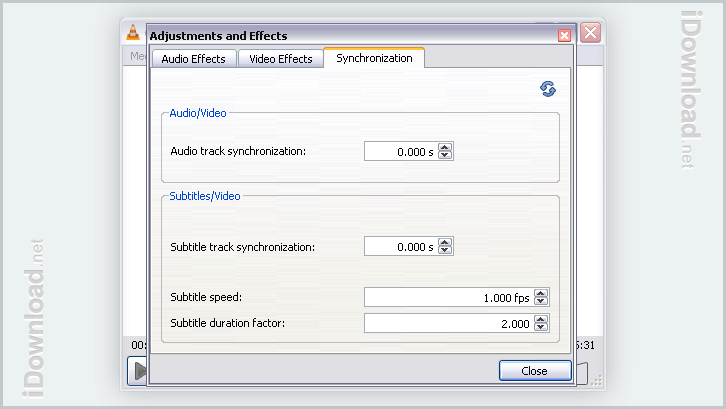 If your movie or video is out of sync you can fix it using the audio/video synchronization settings. You can take screenshots of a video and record.VLC has the capability to convert media files. For example, you can convert a video file to MP4 (Standard/720p/1080p), Webm, OGG, ASF. In addition, you can also convert video to be viewed on iPod, iPhone, PSP, Android, and Youtube (SD/HD).I have been using VLC media player since their beginning and it serves me well. Some people mention that the interface is too plain but you can use a custom skin for a different look and feel. Enjoy! It supports all popular multimedia formats of video and audio files. You can increase the volume over the default 100% if your video audio is too low. To find out if you are running a 32-bit or 64-bit version of the Windows operating system, click here.